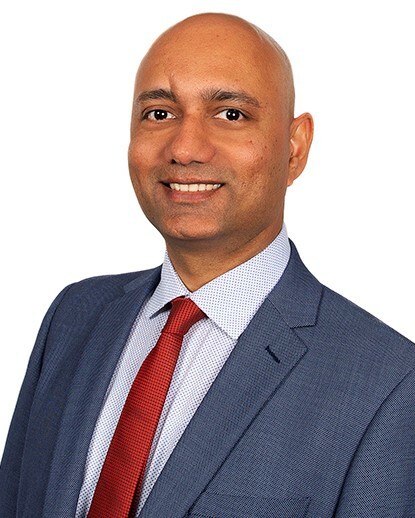 Phillip commenced his career in Financial Planning during the final year of his Economics degree at the Australian National University in 1995. 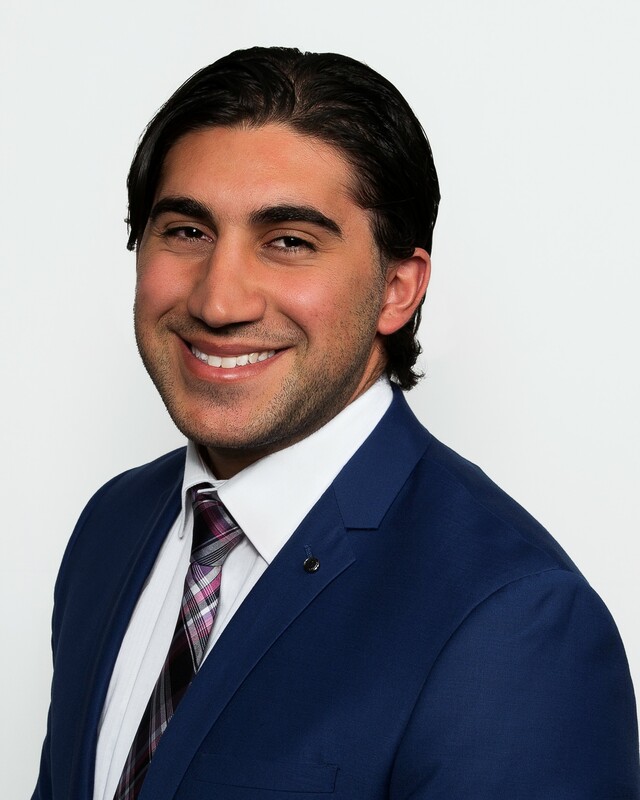 Phillip then moved to Sydney to work in both boutique and institutional financial planning firms, whilst also completing his post graduate studies in Financial Planning, attaining the professional designation of Certified Financial Planner®. 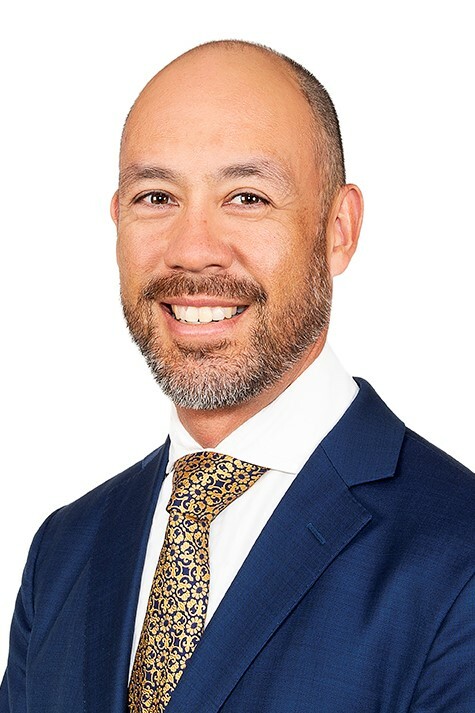 Phillip holds a Bachelor of Economics (majoring in Statistics) from the Australian National University and a Diploma of Financial Planning from Deakin University. Phillip is a member of the Financial Planning Association of Australia and the Boutique Financial Planning Group (BFP), having been an Executive member for 4 years. Phillip lives in the Blue Mountains with his wife and two sons, and enjoys outdoor activities such as bush walking, road and mountain bike riding and golf. Being from Wagga Wagga, Phillip’s sense of community shows him coaching his son’s soccer team and managing his cricket side. Phillip is a volunteer fire-fighter with the Warrimoo Bush Fire Brigade and combines his passion for cycling with fund raising activities, including riding 1000kms over 7 days to raise close to $7,000 for the Future2 Foundation , one of the industry’s way of making a lasting difference in the lives of those who need it most, giving disadvantaged young Australians a second chance and hope for a better future. 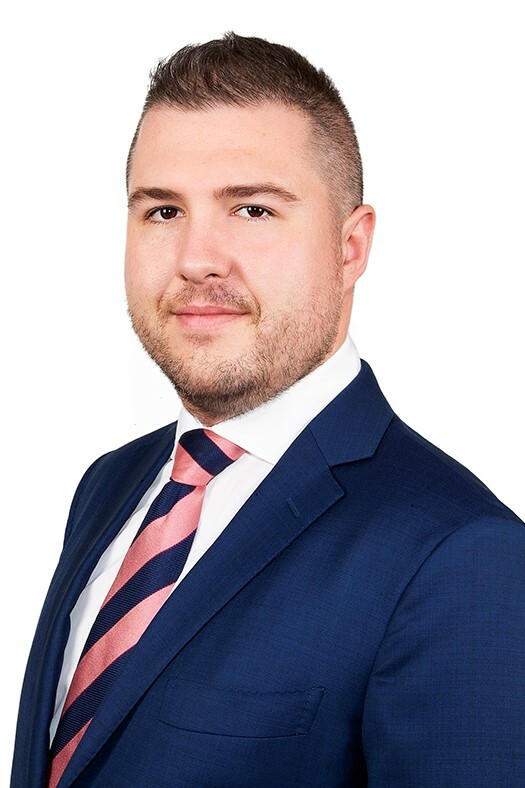 Phillip has a strong interest and knowledge of investment markets and is constantly exploring “cutting edge” strategies to deliver to the clients of Profile. I feel secure due to the personal interest of Mr. Win and his staff…Most interesting are the invitations to the seminars/luncheons and post budget evening, most informative and we have the opportunity to share our opinions. I believe that I get good advice and Phillip always answers my questions promptly. I feel that the advice we receive is tailored and objective. Phillip is engaging and is willing to challenge us which I respect. The firm works hard at innovating and Phillip is exceptional in his communication. Phillip has looked after my parents for quite a number of years. We just started using him personally, not a lot as yet, however the relationship will grow over the years. He has always done a great job for my folks, so far he has been great for us as well. I have known Phillip Win for over ten years in a business capacity. At all times I have found Phillip to be extremely helpful and supportive of me in my on-going battle with an insurance company. Phillip has stood by and assisted me in relation to financial matters, medical matters or terms and definitions in the insurance policy, always in a timely manner. Phillip has also proved to be very reliable, always returning phone calls or emails without delay. Without his professional support throughout the whole process, the battle I endured with an insurance company would have been far more difficult. Kurt initially joined Profile in 1999, working part-time in the administration team while completing his University studies. On completion of his degree, he moved into corporate banking with the Commonwealth Bank, where he developed a strong knowledge of entity structures, as well as cashflow and debt structuring. In 2006 Kurt returned to Profile, where he now works as a Senior Financial Planner. Kurt’s passion for planning is to help people make their own, well-informed financial choices by breaking down complex information and situations, and identifying the important issues that need to be addressed. He has a particular interest in Self-Managed Superannuation Funds (SMSFs) and the range of beneficial strategies they can open up for clients. 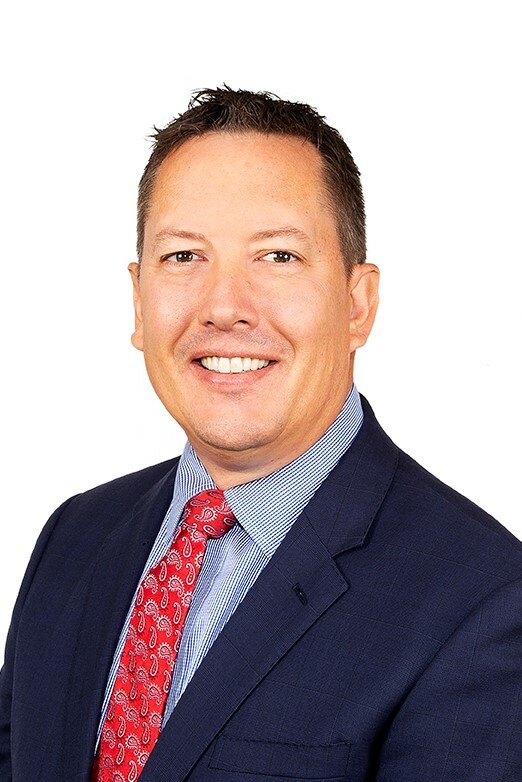 Kurt holds a Bachelor of Agricultural Economics (Majoring in Corporate Finance, Economics and Agricultural Economics) and a Diploma of Financial Planning. He is a member of both the Financial Planning Association of Australia (FPA) and the Self-Managed Superannuation Professionals’ Association of Australia (SPAA). My financial status has improved dramatically since Profile took over it. My confidence in Kurt Ohlsen and his colleagues is absolute too, have no doubt about Kurt’s integrity and that of the company. Total confidence in Kurt and his staff plus their product knowledge and plans for my future financial requirements. We have been with Profile for 12 years from the date of retirement. (I had also benefited from Profile as adviser to my employer for 15 years prior to retirement). Since retirement Profile’s investment advice has been exceptional in supporting my allocated pension. A major factor in highly rating Profile is the personal one-on-one service provided. This includes a vast amount of retirement advice as well as pure financial advice. We speak very highly of Kurt’s personal and friendly association. Kurt is very professional and articulate but can still make you feel like he is talking to a friend. Taking time, giving examples and explaining well financial advice/requirements. Able to contact him no matter how small your query may be Kurt is very approachable. 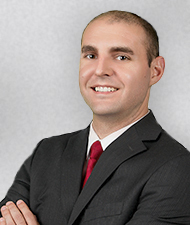 Scott joined Profile in 2011 as an Associate Financial Planner. 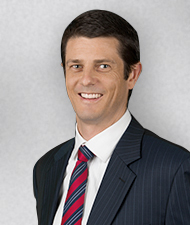 Originally hailing from the USA, Scott has worked in the Australian financial services industry since 2008. He began his career here as an analyst for a small financial services publishing firm, before joining UBS Wealth Management and then Profile. 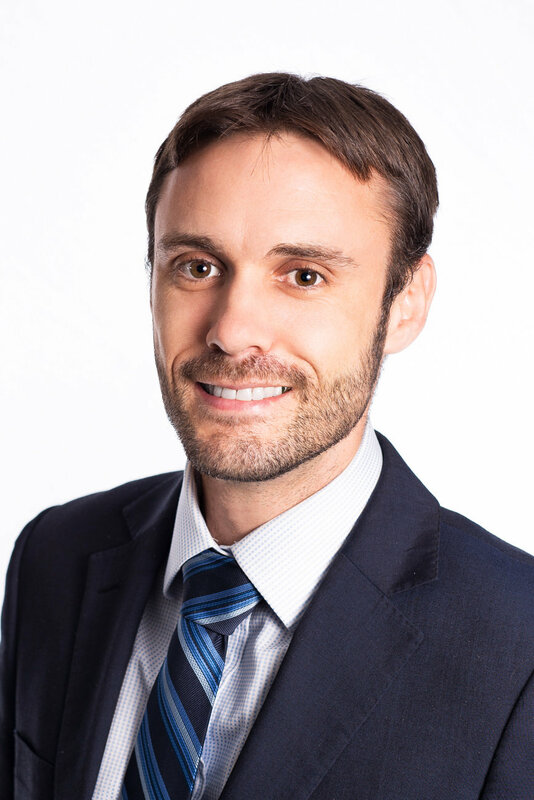 Promoted to Financial Planner in July 2014, Scott works meticulously on creating strategies to ensure clients’ financial and personal goals are met. He prides himself on delivering exceptional customer service and support. Scott holds a Masters in Personal Financial Planning, an Advanced Diploma in Financial Planning and is an accredited Aged Care Professional. In July 2016, Scott earned his Certified Financial Planner® designation, the highest designation in the profession. He is also a member of the Financial Planning Association of Australia. In his free time Scott enjoys playing soccer, golf, travelling, and keeping up with American sports – especially ice hockey, with his favourite team being the Dallas Stars! I am very grateful for the way in which Scott took me through our investments, the background to an understanding of where we are heading, and his advice about our future. Scott patiently gave me a very good understanding of our financial position, both present and in future. Scott is excellent at providing sound advice tailored to your specific circumstances. He takes the time to understand your needs, and is patient and thorough with his advice. I would recommend Scott to anyone wanting to reassess and achieve their financial goals. We have known Scott since he joined Profile in 2011 and he has been our advisor for the past 4 years. We hold him in the highest regard and value his judgement, professionalism, honest personal manner, great communication skills and trustworthiness. Scott has successfully seen us through some difficult financial periods. Throughout these times, he has shown an ability to understand our approach to investing and has exhibited a great capacity to guide us through the complexities of long-term investing in order to reach our financial goals. Over the years he has become more than just an advisor to us, he has become a trusted partner in our endeavors to establish a strong financial base for our future. In his work, Scott combines dynamism, intelligence, empathy and foresight, as well as excellent analytical and communicative skills. We have no hesitation in recommending Scott to anyone looking for a financial planner. with the financial information and advice I need. Scott has been very helpful, explaining how my portfolio is going and keeping me informed at all times. I would have no hesitation in recommending Scott Ungaro to anyone who needs financial assistance. 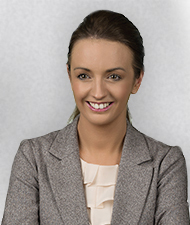 Laura joined Profile Financial Services in 2012, following various roles in the finance industry. Ensuring people understand the choices available to them through the advice process is paramount to her everyday work. Laura holds a Master of Financial Planning, Graduate Diploma of Financial Planning and an Advanced Diploma in Financial Services. 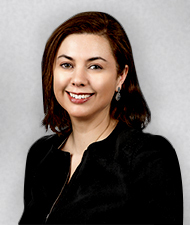 She is also a member of the Financial Planning Association of Australia. Laura lives in Sydney’s Eastern Suburbs with her partner and daughter. She enjoys getting outdoors and spending time with family & friends as much as possible. Laura is really good at breaking down complex information and presenting it in an easy to understand way to a non-financial savvy person. Laura is very friendly and easy to speak to about my financial needs and goals. 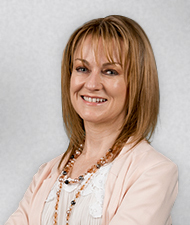 Rachael joined the team in July 2014, following 2 years with Centric Wealth Advisers. During her 3 years working as an Associate Financial Adviser under the guidance of two of Profile’s Senior Financial Advisers, Rachael built on her knowledge from her studies and gained the experience of assisting in all aspects of the client planning process. 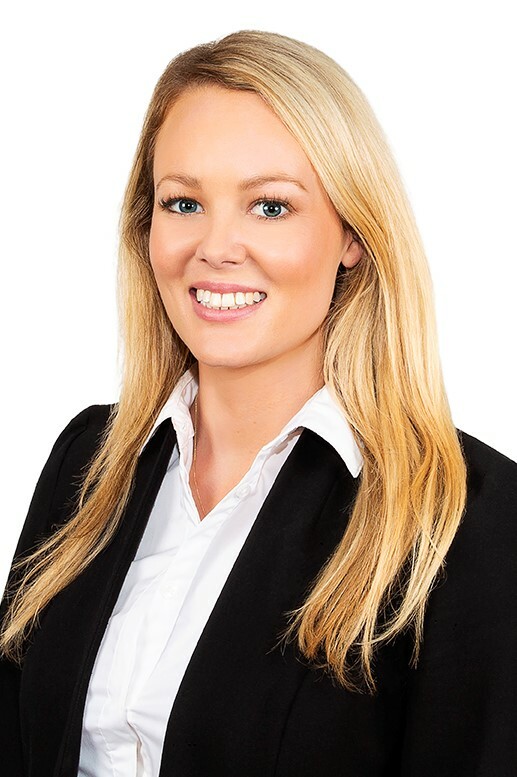 Having attained the necessary qualifications and experience as an Associate Financial Adviser, Rachael was promoted to the role of Financial Adviser in July 2017 and continues to feel passionate about delivering a high quality service, and developing new strategies to ensure her clients’ financial well-being. Rachael completed a Bachelor of Business degree majoring in Finance at UTS, Sydney and then continued on to complete the Diploma of Financial Planning and the Advanced Diploma of Financial Planning. She is currently working towards her Certified Financial Planner CFP® designation. Rachael enjoys travelling, having caught the travel bug at an early age after living in Sydney, Singapore and Perth before the age of 10. She also enjoys keeping active and volunteering at a Social Club for those with intellectual disabilities. My wife and I have been advised by Rachael Arnold for five years and it has been an unmitigated pleasure. Rachael is expert, proactive, meticulous (meets every deadline), and delivers service with a smile. I have introduced Rachael to advise friends and family and without exception they have been delighted with her services. I can’t imagine not having Rachael as a trusted partner for our finances! Rachael has been my adviser for 2 years now but we have been working together for almost 5 years. I am very happy with the way she listens to understand my issues and suggests solutions for my particular needs. Being on my own I value having Rachael to discuss my plans with. She has provided very valuable input to my decisions. Last year I sold the last of my real estate investments and Rachael constructed a personalised portfolio of managed funds to invest the proceeds. This will give me much better income than the rent I was receiving while conserving my capital which was my goal. She has also helped me with smaller one-off tasks which has made my financial management easier such as constructing a spreadsheet which allows me to track the ongoing income and value of my portfolio and chasing up some private international shares I wish to sell. I enjoy working with Rachael and have confidence in her advice. Kristine joined the team in early 2016 after having worked in marketing, legal and finance roles, most recently for Zurich Financial Services in Sydney. Having gained her Commerce degree at The University of New South Wales, Kristine completed her Diploma of Financial Planning in late 2016 and is close to completing her Advanced Diploma of Financial Planning. She is looking forward to engaging with clients to help them realise their potential. In her own time, Kristine loves reading, watching documentaries, travelling, hamburgers, and is “intrigued by the unconventional”. She speaks fluent English and Vietnamese. 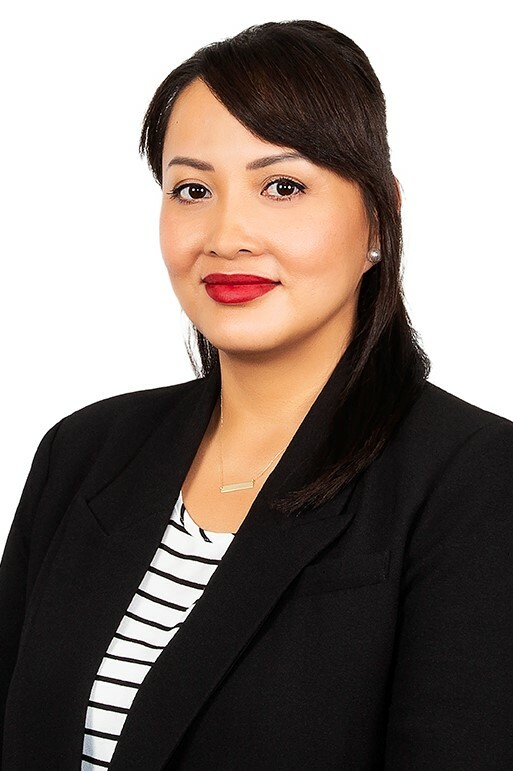 Vivian joined Profile in mid-2017 after three years in Banking Operations, having spent time in roles across Client Services and Financial Operations with a focus on mortgage services and solutions. 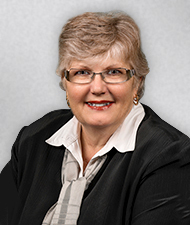 Prior to this, Vivian completed a Bachelor’s Degree in Applied Finance and has more recently acquired the Diploma in Financial Planning qualification. His background in Finance has seen him build a keen interest and understanding of investment markets. He hopes to compliment this by enhancing his knowledge of entity structures and the various strategies that can be employed to optimise a client’s cashflow, tax and net wealth position. Vivian enjoys the fact that he gets to interact with clients on an ongoing basis and assist them with navigating the complexities of the financial world. Originally hailing from the sunny island of Sri Lanka, Vivian was born to a family of sport fanatics. It was no surprise to the family then, when his dad chose to name him after the cricketing legend Sir Vivian Richards. Having played rugby union at school he is an avid follower of the game and enjoys watching cricket and motorsports, amongst other things. He also enjoys riding his motorbike on the weekend. Michael joined Profile in 2017 as an Associate Financial Planner. Michael is a graduate of the University of Sydney, completing a Bachelor of Commerce with majors in Finance and Economics. He has since completed the Diploma of Financial Planning and aspires to become a Certified Financial Planner®. Michael brings with him experience working in retail management, banking operations and client service, most recently with Macquarie Group. He is excited to meet new clients and implement strategies to help them kick their financial goals. In his free time, Michael loves watching and playing sports, particularly football/soccer (a huge Liverpool FC fan) and tennis. Other interests include watching movies, travelling and doughnuts. Andrew joined the team in October 2017 as Associate Financial Planner and is committed to developing his professional expertise while gaining experience providing an excellent financial advice service to our clients. He has his sights set on attaining a Certified Financial Planner (CFP) qualification and gaining further skills through continued training. His passion for engaging with clients stems from a background in small business ownership and he uses financial strategy, excellent business ethics and well-formed decisions to build meaningful customer relationships. Andrew’s drive comes from a passion for financial strategy combined with an appetite for ethical practices. With the many changes the industry is undertaking, Andrew is positioned to spearhead a new wave of ambitious and zealous advisers that put the client’s interests first, one client at a time. Away from the office, Andrew is an adventurous traveler with a thirst for new experiences. He dabbles in drum playing, loves the beach, and keeps fit by swimming laps before coming into the office. Living and breathing an active lifestyle gives Andrew the energy to take on challenges with his best foot forward. Louise joined Profile in the capacity of Senior Financial Planner – as part of a onePlan/Profile merger in May 2018. Louise has a wide range of experience in the Finance Industry ranging from customer service to bank manager – before embarking on a career in financial planning, leading her to become an owner and senior financial planner of onePlan Financial Planning for over 18 years. Her decision to merge with Profile was driven by her planning background in setting a solid succession plan in place early. 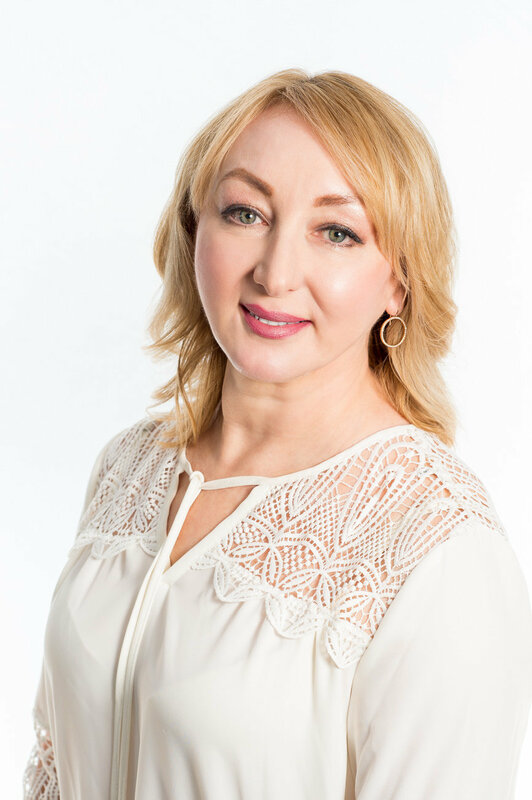 Louise is very passionate in assisting people understand their investments for the long term and has many client relationships that have lasted over two decades. Louise excels in customer service and is very proud that she has inspired others to share that vision. In the rare moments Louise is not working, she enjoys spending time with family, friends, and her cats. Louise is looking forward to taking up more interests when she slowly enters retirement phase in a few years. 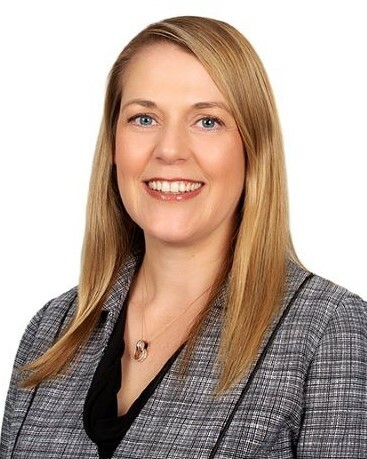 Kelly joined Profile in July 2018 as Senior Financial Planner – having started her Financial Planning career in 1993 at Deloitte Touche Tohmatsu, whilst completing her Bachelor of Commerce. After a relatively short stint with MLC in a Corporate role, Kelly longed to get back to working directly with clients and in 1995 joined a boutique Financial Planning firm in Sydney. In 2000, Kelly started her own Financial Planning practice in Parramatta, where she was able to build a successful business focussed on building sincere personal relationships with her clients, many of whom she regards as friends today. In 2010 the business was purchased by Strategic Wealth Solutions and Kelly continued in her role until July 2018. 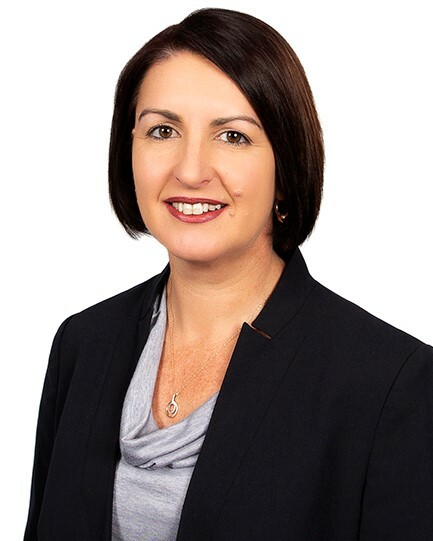 Over the course of her career to date, Kelly has achieved her Degree in Commerce (majoring in Economics and Finance) from the University of Western Sydney, completed the Diploma of Financial Planning from Deakin University and attained the professional designation of Certified Financial Planner in 1999. 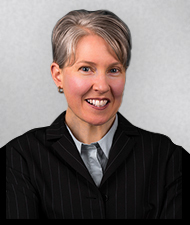 Kelly has been an active member of the Financial Planning Association since 1994. Kelly is happily married with two children and lives in Kellyville. Family is central to Kelly who is engaged in many activities along with her husband and children. Kelly has enjoyed many volunteer positions over the years and is currently the Secretary of the National Water Ski Racing Association Region V Australia. Kelly enjoys many social activities and loves to spend time with family and friends at Lake Conjola, on the South Coast of NSW. Ashley joined Profile in July 2018 as Senior Associate Financial Planner. 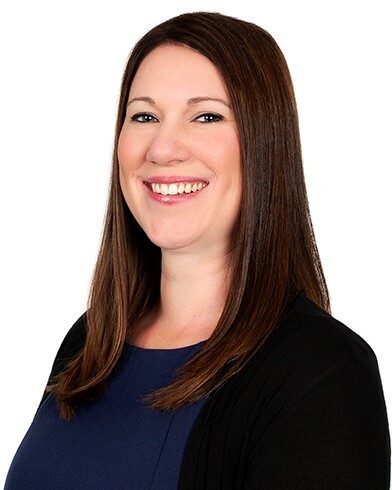 With over 11 years’ experience in Financial Advice – gained across different planning firms – Ashley has worked with a variety of clients at all stages of their lives and careers, helping them to create and secure a prosperous financial future. Ashley is currently completing his Bachelor of Economics at Macquarie University and soon to begin his study towards Certified Financial Planner (CFP®) accreditation. Stephen joined Profile Financial Services in late 2018 as an Associate Financial Adviser for our Mudgee and Dubbo offices. With over 30 years’ experience in institutional financial services, Stephen has chosen to move into financial advisory at this time to help deliver meaningful outcomes to clients, as well as focusing on bringing new levels of trust, accountability and transparency. Previously Stephen was Head of Australia Institutional at J.P. Morgan Asset Management, with prior senior roles at BNY Mellon Asset Management and Barclays Global Investors (now BlackRock). He has a Master of Commerce Degree in Funds Management from the University of NSW and is a Certified Investment Management Analyst. Stephen is married with two adult children and is enjoying his “tree change” and new country lifestyle in Mudgee. Outside of work he is a keen motorsport enthusiast and participant, as well as regularly undertaking 4WD camping holidays to the more remote parts of Australia. Jessica joined Profile in 2018 as an Associate Financial Adviser after working as a tax accountant and spending a few years working in Real Estate. Prior to this, Jessica completed a Bachelor of Commerce at the University of Wollongong, with majors in both Accounting and Finance. 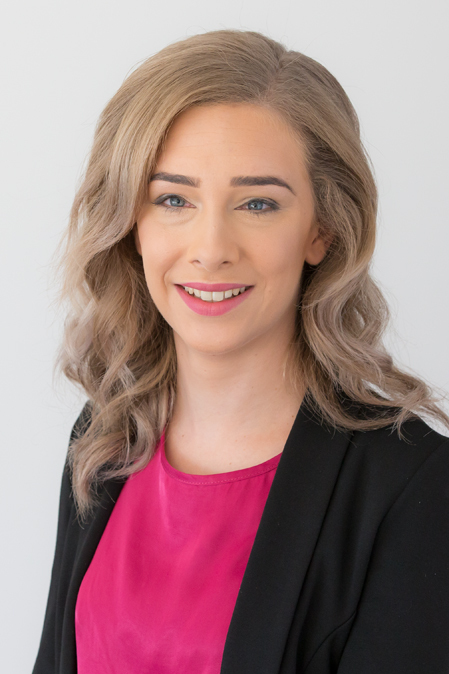 Jessica has had experience working as a tax accountant for individuals and small entities in local firms, as well as on a larger scale when she worked for KPMG in Canberra on Government tax advisory projects. Working in the local Real Estate office fulfilled her passion for connecting with people and helping them through some of their biggest life decisions and handling, for most people, their largest asset. Jessica’s decision to join Profile was in line with this passion for helping clients with some of these larger life decisions. Born and raised in Mudgee with a short time away for University, Jessica is proud to call Mudgee home. On weekends her love for food and wine finds her frequenting local wineries, and spending time cooking at home and entertaining family and friends. Aine has been working for Profile in a part time capacity since July 2009 in administration and marketing roles, and was recently promoted to Marketing Manager. Aine has been in Australia since 2003, having previously worked for 9 years in London in a variety of roles for the financial information provider Bloomberg LP. Outside of work Aine enjoys socialising with friends and is kept busy with her 2 young boys. Sharon joined Profile in August 2011 and is part of our Administration Support Team. Prior to joining Profile she worked with State Super Financial Services for over 18 years, in both administration and client services roles. Sharon loves spending time with her three children and her six grandchildren. When a little quiet time is needed she enjoys reading and knitting. 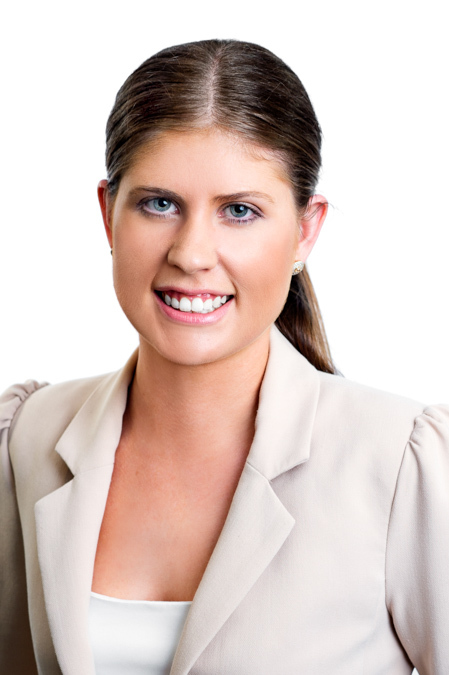 Helen joined Profile in January 2011 as a Client Administrator, following three years with Macquarie Bank. 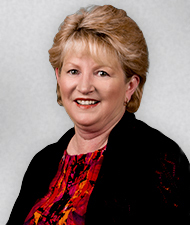 Helen holds a Bachelor of Science Degree from the University of Sydney, a Diploma of Computer Graphics & Animation and a Diploma of Financial Planning. She is a keen snow skier and plans to complete the Advanced Diploma of Financial Planning. Alison originally joined Profile in 2000. Alison assists the Financial Planners in providing comprehensive and specialist advice to clients, as well as managing Profile’s compliance obligations including chairing the Compliance Committee. 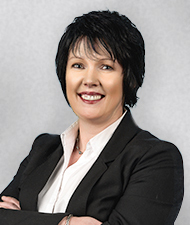 Alison came to Profile with extensive experience in the administration of corporate superannuation funds and enjoys helping her colleagues with superannuation and technical matters. 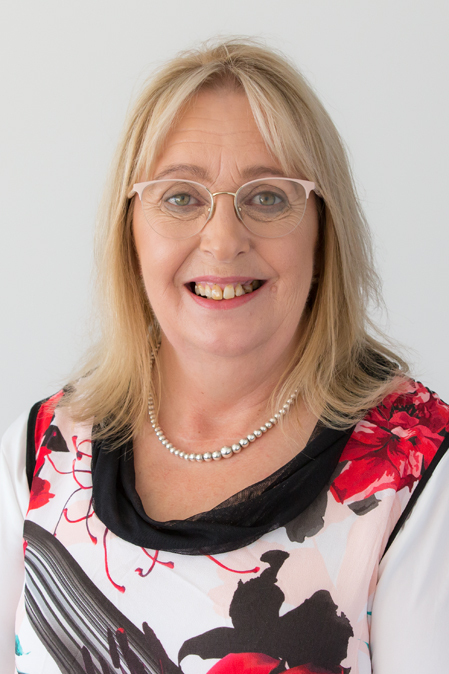 Alison’s formal qualifications include a Bachelor of Economics from the University of NSW, a Diploma of Superannuation Management from Macquarie University, and a Diploma of Financial Planning from Deakin University. Anita joined Profile in 2007 shortly after moving from New Zealand to Australia. She is currently working as a Senior Client Administrator. She is a graduate in Economics and has undertaken post graduate study in Public Administration. Anita loves to spend her free time with her family. She enjoys outdoor activities with her two sons and watching movies. But shopping still remains on top of the list! Debbie joined Profile in 2003 as our Finance Manager after having worked for the previous twenty years in the banking industry. After forging a career in the finance industry as well as raising a family, in recent years Debbie has also been pursuing her two other loves: travelling outback Australia, and photography. She has completed her Certificate IV in Photo Imaging, and since graduating has been the recipient of many photographic awards. Debbie is looking forward to documenting many further fantastic outback trips in her spare time with her photographic skills! Sarah started her career in financial services with AMP in 1989, moving to Sydney (from Tasmania) and holding diverse roles including IT analyst, technical adviser and sales manager over nine years. Sarah has continued her career in the finance world ever since, holding senior marketing and management roles with Rothschild, Westpac, BT, Colonial First State, and most recently with Fidelity International before joining Profile Financial Services in 2010. She is passionate about financial planning and firmly believes that every Australian should have access to high quality advice to help them reach their financial goals. It’s a great day when Profile can tell a client that they are financially independent! Sarah lives in Sydney with her husband and two sons. She’s an avid reader and recreational jogger who is trying to progress to runner. She holds a Bachelor of Arts from Sydney University and a Master of Business Administration from Macquarie University. She is a graduate of the Australian Institute of Company Directors. 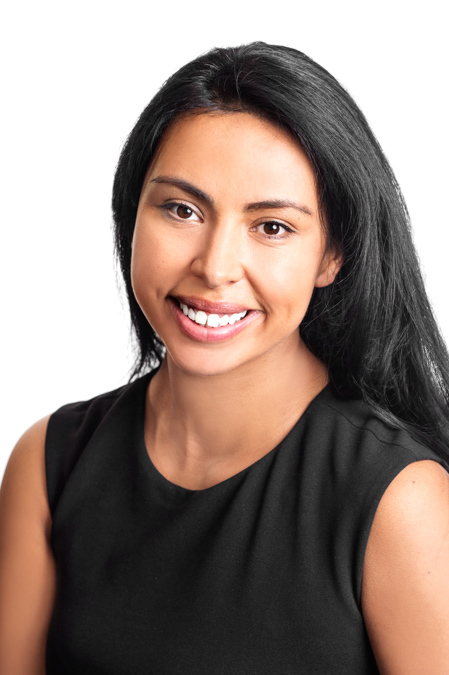 Lucia joined the team in early 2016 after having worked as a client services manager with another boutique financial planning firm in Parramatta. She is in the process of completing her Diploma of Financial Planning, having already completed two core units, and also holds a Diploma of Events. Lucia is a single mother to her 6 year old son who is the light of her life and is also in the process of writing a motivational book to help inspire other single mothers on their journey. In her own time she enjoys spending time with her family, reading, cooking and dancing. 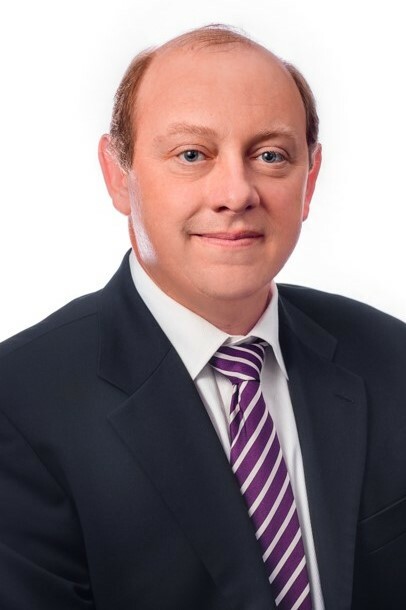 Jerome Bodisco has over 20 years of financial services experience spanning investment research, investment consulting, funds management, stockbroking and financial planning. Prior to joining Profile, Jerome was employed as a senior investment consultant for JANA and Private Investment Consulting (NAB Asset Management). He has a Bachelor of Mathematics and Finance and holds a Master of Business in Finance degree from the University of Technology. Jerome was awarded IMCA’s CIMA Program Scholarship in 2010 and is a Certified Investment Management Analyst. Danielle joined Profile in 2017 with almost 10 years experience in the finance industry. Starting out with one of the big 4 banks as a teller, her passion for seeing people achieve their goals moved her into the financial planning side of things. She loves simplifying the process for our clients by taking care of all the paperwork and dealing with the major financial institutions so they don’t have to. She is currently studying her Diploma of Financial Planning and is working towards becoming a Financial Planner in her own right. When Danielle is not in the office you’ll probably find her riding down a mountain somewhere, whether it’s on a snowboard or a mountain bike, or relaxing at home with her cats, Belle & Ronald. She likes to surround herself with friends and family while her Navy partner is away on deployment, and is always looking forward to the next adventure life has to offer. Truc joined Profile in 2017 in the role of Project Manager. Truc first started her Information Technology / Business Intelligence career as a technical engineer with a software company (Crystal Decisions) back in 2002. Since then she has done a wide range of work including consulting, development, business analysis, and project management for many companies including SAP, AOL (UK), AMP, and NAB. Apart from holding a number of vendor certifications, she has a Master of Business Administration from Macquarie Graduate School of Management. Truc is finding both of her roles very rewarding: managing the projects at work and juggling motherhood at home. At work, she uses her IT skills to solve business problems, at home she uses her multitasking talent to run household chores. Despite having other hobbies previously such as travelling, photography, toastmasters and studying, now with an active two year old she likes taking the little one out to cafes to enjoy quality mummy/daughter time sipping babycinos. Natalia joined Profile in October 2017 and is part of our administration support team. Prior to joining Profile, Natalia worked in the banking and credit union sector of financial services for over 15 years, developing her office management and client services skills. Led by her desire to help others, Natalia is eager to assist the team in helping our clients achieve their financial goals. Originally a singer and dancer in her mid 20’s and subsequently becoming a dance teacher and voice coach, Natalia is fuelled by her passion for performing arts and enjoys attending a variety of concerts, as well as partaking in the occasional karaoke. A firm believer in work-life balance, at home Natalia keeps busy taking care of her family – including a husband, two boys, two parrots, and two cats. Karen grew up in Mudgee and moved to Newcastle after finishing school, to complete a Diploma in Business Management at Passmores Business and Management College. Having completed her Diploma, Karen moved back to Mudgee in 2011 to be closer to her family and started working for onePlan in 2012 as a Client Service Officer. Karen loves helping clients reach their goals and gets great satisfaction from the feeling of having everything in place and finalized for her clients. She is looking forward to bringing this passion to her new role of Client Support Officer at Profile. Karen loves spending her spare with her family, including her two nephews and is also kept busy with her puppy Hugo! Karen also loves traveling and weekend getaways. Lena joined Profile as Head of Operations in early 2018 having started her financial services career with a family-owned financial planning practice in 1999, after finishing a Bachelor of Business. She learnt the ropes initially as an Administration Assistant and has since held most roles typically found in a practice including Adviser and Operations Manager. 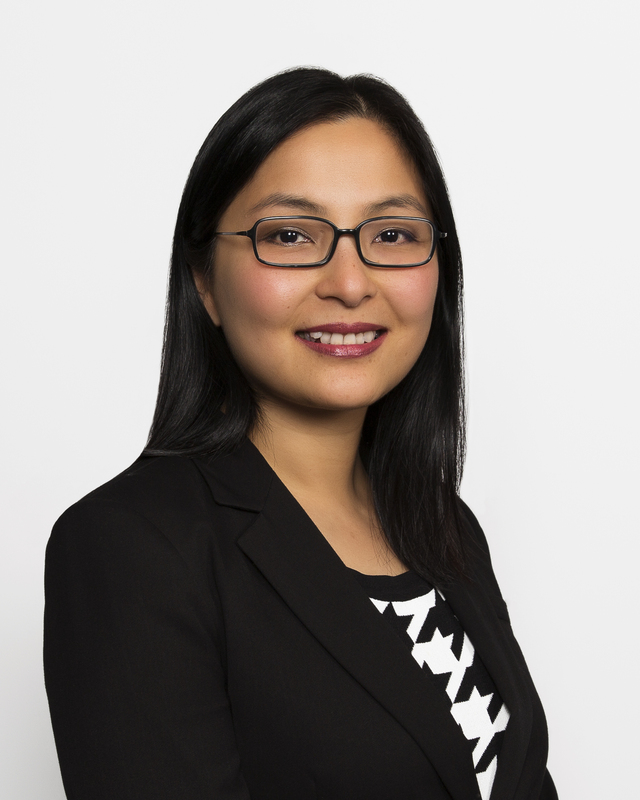 Lena’s career saw her move from Canberra to Melbourne working for a mid-tier accounting firm and a small listed company before arriving in Sydney in 2006. She then spent several years working for a major Australian bank learning about distribution, sales, business development and the broader machinations of the industry in their wealth management division. It is here that Lena got to work with hundreds of financial planning practices all over Australia and appreciate what differentiates practices within the industry. After having her son, Lena has moved back into private practice; first with a mid-tier accounting firm before arriving at Profile. Her academic resume supports her career interests and achievements with an Executive MBA from the Australian Graduate School of Management, financial planning and adult education qualifications. She has also attended a Strategic Leadership course at the Stanford Graduate School of Business in the US. As a hugely client centric Head of Operations, Lena’s key question in all operational decisions is: how will this help our clients? She also passionately believes that client education is a key component of a good financial planning practice and loves that the industry progressively improves for client benefit. Lena and her family are massive foodies and she is perpetually grateful her partner and step-daughter love to do all the home cooking and grocery shopping. This happily leaves Lena as Head of Operations on the home front too in addition to being one half of a dynamic duo with their young son in lots of super hero adventures. 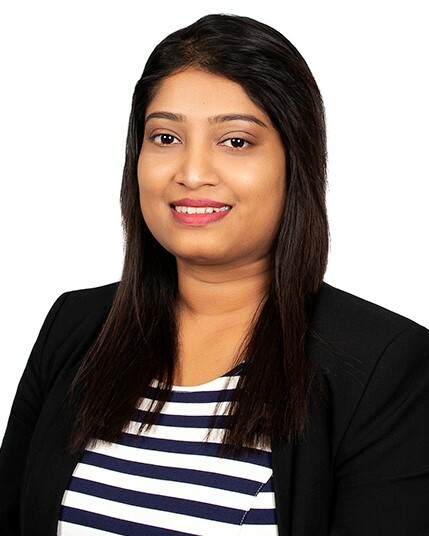 Ayesha joined Profile right at the beginning of the 2018 financial year after working in another boutique financial planning firm in Sydney. 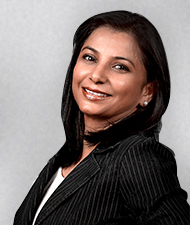 She holds a BSc Management Degree and completed her Diploma in Financial Planning. She enjoys spending time with her two-year-old son. She also loves to travel and learn about different countries & cultures. She is in the process of completing her Master’s degree in Financial Services with UNE. Nicole joined Profile in July 2018 and is part of our Finance team. Prior to joining Profile Nicole has had over 20 years of finance experience spanning across a range of industries from financial services to building and infrastructure. Nicole is kept busy with her 3 beautiful daughters, volunteers as Treasurer for their school P&C committee and enjoys gardening in her spare time. Mehul joined Profile in April 2018 as a Technical Business Analyst. He has enjoyed working in the Information Technology part of the finance sector for more than a decade. Before joining the team he worked as a Business Analyst for the Commonwealth Bank. He completed his Master of Information Technology from the University of Southern Queensland in 2005 and has continuously advanced his knowledge through various courses and certifications. Mehul has a strong interest in technology innovations and is always looking for ways to make technology better and safer for our staff and customers. He strives to deliver process and system efficiencies that will support the business in delivering ongoing improvement to the customer experience. Mehul enjoys outdoor activities such as bushwalking, gardening, and cycling. He has mostly worked in Sydney CBD in the past and now enjoys his walk home when working from Profile’s Parramatta office. Anna joined Profile in 2019 as a full time Compliance Manager having worked in the Financial Services industry for over 20 years with companies such as Citibank, Rabobank, Macquarie Bank and Aon. Anna graduated with a BA in Public Relations and worked as an intern in Public Relations before finding her niche in Financial Services as a Senior Paraplanner after trying her hand as an Authorised Representative and undertaking taking further study to attain a Diploma in Financial Services with Kaplan. Anna prides herself on her high standards of ethics and honesty and felt that a Compliance role would be a natural progression in her career. In her downtime Anna enjoys visiting art museums, reading and spending time with her family trying out new places to eat, going to the movies and travelling. Peter joined the Profile Board as chairman in early 2015. Peter has over 31 years of experience in banking and financial services, including 23 years with the NAB and 8 years with Macquarie Bank. 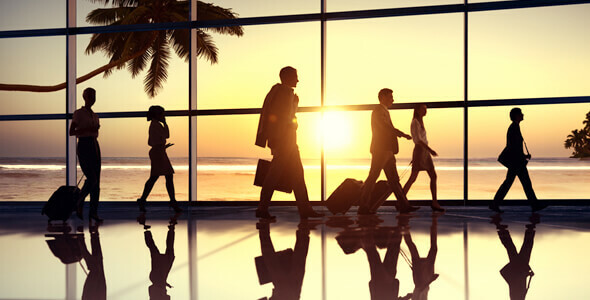 He is an accomplished Senior Executive and director who has worked at senior executive levels for over 20 years, including appointments within Australia, the UK and the USA. Peter is passionate about conscious leadership and driving performance through leveraging people, and for the past 6 years has developed a career as an executive coach, a consultant in the field of strategy and leadership development and as a company director. He currently sits on the Board of the Create Foundation supporting the Foundation’s involvement with children in the Australian care system. Peter loves spending time with his family, travelling, keeping abreast of current and international affairs and following the trends in international financial markets. He is also is a keen distance runner and regularly raises funds for charities through his fitness activities. He is an experienced leader, board member, chairman and a champion for clients. He believes strongly in values-based business principles and is keen to make a difference at Profile. Phillip lives in the Blue Mountains with his wife and two sons, and enjoys outdoor activities such as bushwalking, road and mountain bike riding and golf. Being from Wagga Wagga, Phillip’s sense of community shows him coaching his son’s soccer team and managing his cricket side. Phillip is a volunteer fire-fighter with the Warrimoo Bush Fire Brigade and combines his passion for cycling with fundraising activities, including riding 1000kms over 7 days to raise close to $7,000 for the Future2 Foundation , one of the industry’s way of making a lasting difference in the lives of those who need it most, giving disadvantaged young Australians a second chance and hope for a better future. Profile is founded by Garry Ohlsen. The origins of Profile go back to 1986, when Garry Ohlsen’s vision to create an organisation with an absolute focus on its clients began. 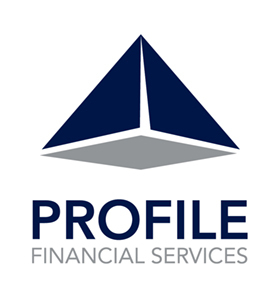 Our current name “Profile Financial Services” was settled on to reflect our prioritisation of the individual client’s profile when considering their financial needs. The pyramid – represents stability, security, and the importance of having a strong base on which to build your plan. Frank Smith has been a very important part of Profile’s story from the very beginning. As one of Garry’s mentors for many years, the two have forged a lifelong friendship as well as a great working relationship. Garry named Frank as honorary chairman at our founding, in acknowledgement of Frank’s great assistance, knowledge and wisdom. Frank started in the industry with AMP back in 1949 and was one of the first ever graduates of the CFP program, the highest designation a planner can have in Australia. Frank retired in 1994 after 45 years in the industry. He remains very much a part of Profile, as one of our ‘alumni’ retired staff network, and he and wife Connie continue to come in for their annual reviews! A company providing financial advice to Australians must hold an appropriate licence – “Australian Financial Services Licence” or AFSL – from ASIC. Profile was originally licensed through the Hillross group (a subsidiary of AMP). The year 2002 saw major changes to the regulation of financial services companies in Australia and Garry decided the time had come to go out on his own. He wanted Profile to control its own destiny, including the products and services it could make available to clients. As a result Profile obtained its own license from ASIC and left the AMP group. Profile has retained its own license ever since. Profile acquires Anderson Burkett’s financial planning business. Anderson Burkett – a chartered accountancy firm –made a decision to exit financial planning and focus on its core business of accountancy. They felt Profile offered the right combination of services and support to its clients and staff, and the transaction completed in 2003. Phillip Win, who had headed up the planning business at Anderson Burkett, joined Profile and is today a Director of Profile. The change marked a major growth milestone for Profile and we also made a decision to update our logo – while still retaining the strong pyramid shape. Garry and Phil made a decision to launch an advisory board, to bring an independent and fresh viewpoint to Profile’s decision making, and as part of our commitment to forward thinking and continuing to find better ways to serve our clients. Our foundation independent members were Christine Bull, and Andrew Fairweather. 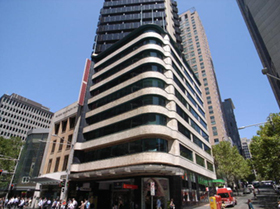 In response to client demand, Profile established a permanent city office, initially at Level 8, 261 George St in Sydney. Having decided that professional management was important to help Profile continue to grow, Profile hired Sarah Abood to the new role of CEO. Profile launched a new set of integrated investment solutions for clients needing a packaged investment solution. These provide asset allocation, risk management and manager selection for clients with minimal paperwork and consolidated reporting. Christine Bull and Andrew Fairweather completed their tenure, and Richard Crake and Stephen Robertson joined Profile’s advisory board. Frustrated by the increasing load of administration and red tape required to run its own AFSL, but determined to retain independence for its clients, Capel and Associates decided to join forces with Profile Financial Services, with Principal Rick Capel joining Profile as Senior Financial Planner. After extensive research and review of the market for equities services, Profile developed and launched a new direct shares solution for clients. It offers a full implementation and advice service, with online access and minimal paperwork and hassle, while our clients still make the final decisions on trades. To support Profile’s continuing growth, we made a decision to add a non-executive director to our board. Peter Coleman joined Profile in 2015 as non-executive director and chairman. 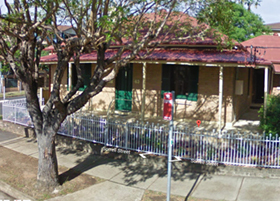 Having outgrown our previous headquarters at Creagh Cottage, and needing a more efficient communications infrastructure, we moved our Parramatta office to 100 George Street in April 2015. Our new premises are located in a modern office building with excellent communications infrastructure, walking distance from the train, bus and ferry stations, and close to shopping and amenities. AMP’s decision to close down the Genesys dealer group left Aspire Wealth principal Stephen Paull in need of a new home. After reviewing the options available, Stephen decided to join Profile – based on our privately owned and licensed structure, high client satisfaction levels, efficient processes and excellent adviser support. Having decided to explore other roles within the financial services industry, in late 2016 Evan Hill made a decision to close his business HSA Financial. Wanting a smooth transition for his clients and to ensure their financial affairs were well looked after, he chose Profile for our highly qualified advisers, our client-first values and efficient client support service. Our previous Sydney CBD office building was compulsorily acquired by the State Government for a major transport and infrastructure project, and we officially settled into our new premises on Monday 13 February. Our new premises are located in a modern office building within walking distance from the train, bus and ferry stations, and close to shopping and amenities. With her business growing strongly over 12 years since onePlan was founded, Louise Scifleet needed to support this growth. In exploring possible business solutions to ensure her valued clients continue to receive great advice and support Louise partnered with Profile due to similar values, capabilities and ‘client first’ ethos. We have been around for over 30 years and with this merger we now have offices in Parramatta, Sydney CBD, Mudgee and Dubbo.